Downtown Waterville, Maine in February 2019. The free public wifi in downtown Waterville has topped 124,000 users in seven months as the city continues to rehabilitate old buildings and develop new ones. The figure, representing user numbers as of March 1, was released by the Central Maine Growth Council, which manages the wifi service. 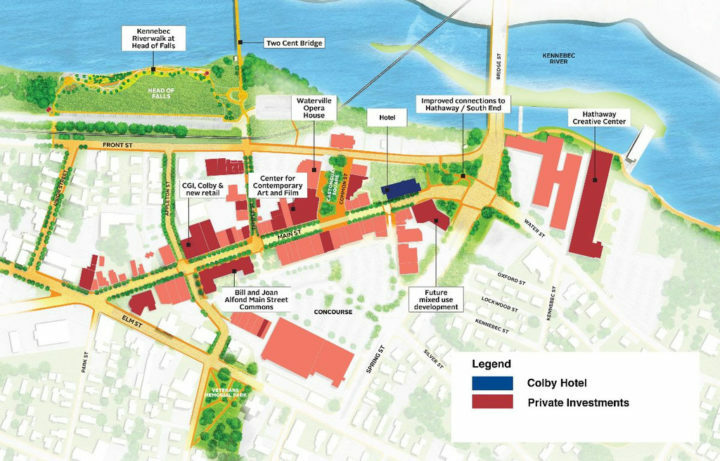 “Public wifi is increasingly becoming a necessity for patrons of downtown districts,” Garvan D. Donegan, director of planning and economic development for the Central Maine Growth Council, said. 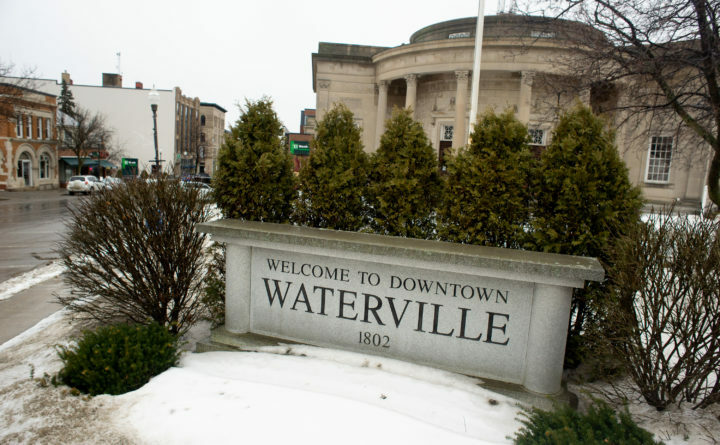 “The city of Waterville is emerging as a technology hub, and downtown Waterville wifi further positions the city for future growth,” Donegan said. Free public wifi is getting heavy use as part of the downtown Waterville revitalization. He said being able to stay connected to the internet encourages visitors to extend their stays in the downtown area, potentially boosting commerce and tourism as the city continues its revitalization projects. The free public wifi service was established through an initial investment by Colby College and continually supported by Kennebec Savings Bank, MaineGeneral Health, Northern Light Inland Hospital and Thomas College’s Harold Alfond Institute for Business Innovation. Wifi coverage is available outdoors and extends north-south from Post Office Square to Hathaway Creative Center and east-west from Head of Falls to the Concourse. The launch of the downtown Waterville wifi in August 2018 coincided with several technology-related developments in the downtown district, Donegan said. CGI, a global information technology and consulting firm, moved into its new office space at 173 Main St. GenoTyping Center of America opened a biotechnology laboratory in Hathaway Creative Center. And Bricks CoWorking and Innovation Space launched its coworking space in Hathaway Creative Center, becoming the home of Central Maine Tech Night. Downtown Waterville wifi partners work with Axiom, a Machias company focused on delivering broadband to rural communities, and FirstLight, an internet service provider in the Northeast.